Can You Really Buy Without Banks? 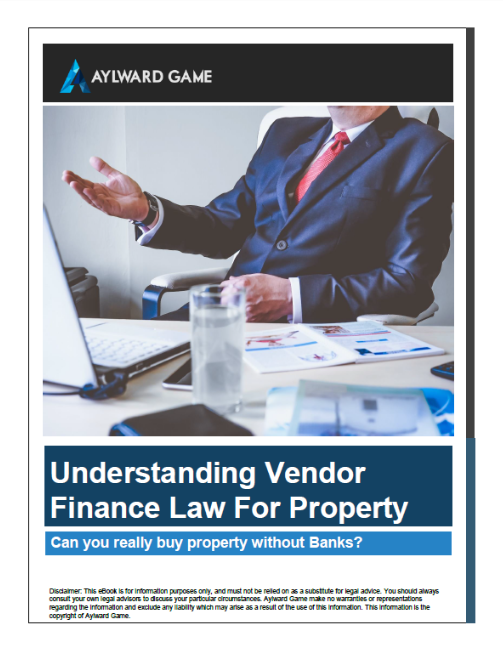 A simple eBook to help you understand the Power of Vendor Finance Law for property. This eBook covers Legal backing, benefits of Seller Terms Contracts, drawbacks to Real Estate Buyers, Seller Terms Contract Features and other legal arrangement while buying property with Vender Finance in Australia. Is Vendor Finance For Me? If you are a seller and want relief from mortgage stress or a buyer wanting to leverage finance, this eBook will help you in understanding the Vendor Finance, its feasibility and suitability for both the parties of the arrangement. Know how to leverage the option of Vendor Finance when having difficulty in getting financing from the bank. Find out the hidden risks involved in Vendor Finance transaction and how to check them. Can You Really Buy Property Without Banks?